The annual membership fee is $10 for individuals or families. Members will receive the Society’s periodic newsletters with details of all upcoming events and Society news. The Society appreciates your support! 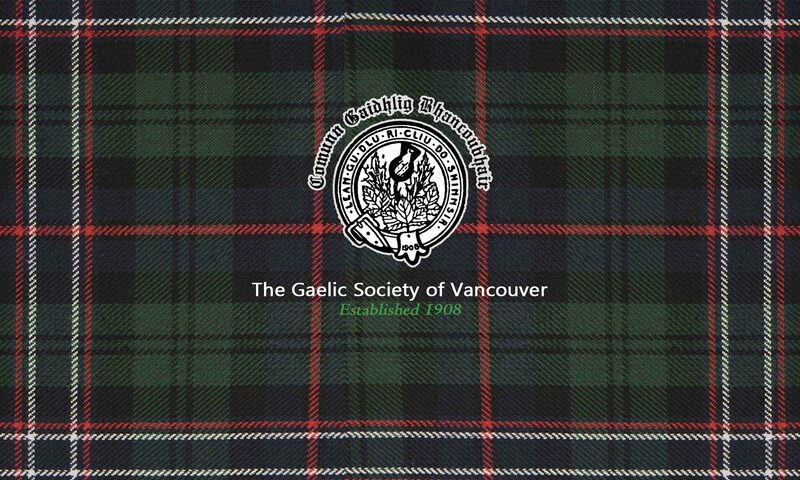 © The Gaelic Society of Vancouver. Powered by WordPress.